I hate to mention it because of what happened afterwards, but [he should be saying] the kinds of stuff Bill Cosby used to say. Second, the notion that Obama could prevent all crime by black people by making more Cosby-like comments is bizarre for numerous reasons. One of them is that presidential remarks don’t have the power to eliminate all crime. Another is that Obama does, in fact, make Cosby-like remarks pretty often. Indeed, Obama has done this enough to receive sustained criticism from his admirers. 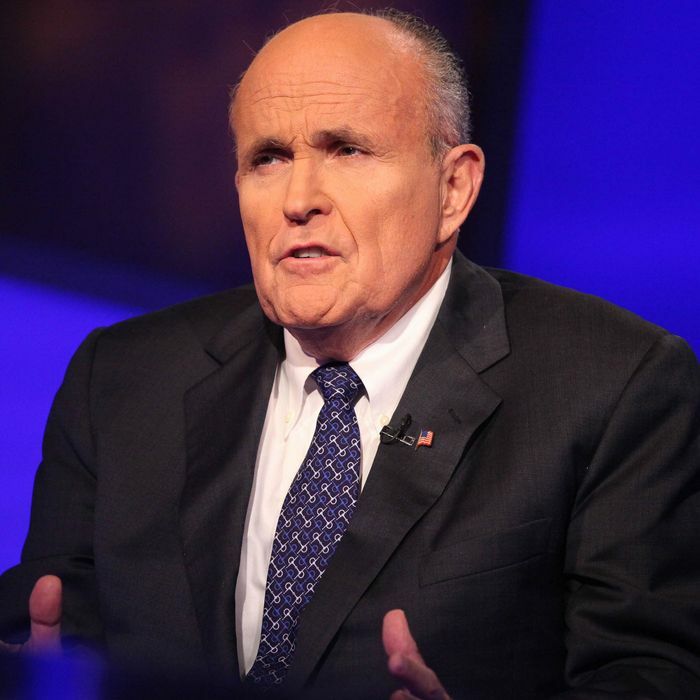 So, what is the best explanation for Giuliani’s strange fantasy that Obama has presided over some explosion of black crime caused by him failing to say things he has in fact said repeatedly? Combined with Giuliani’s accusations that Obama does not love America (despite all Obama’s eloquent speeches to the contrary), because Obama allegedly “wasn’t brought up the way you were brought up and I was brought up through love of this country” — what innocent explanation can be formulated for his string of delusions? What do you call holding Barack Obama responsible for every crime committed by a black person, anywhere?